You can get a car loan even if you have bad or no credit. If you need a car, guaranteed auto financing can be your answer. Some dealerships that offer in-house financing offer guaranteed auto financing. This financing method puts your credit score aside and focuses mostly on your income. 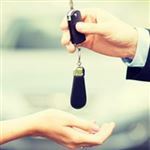 If you know your credit history paints a "not so pretty" picture of you or you don't have a credit history, look for dealers that offer guaranteed auto financing. Guaranteed auto financing comes directly from a dealer that offers in-house financing. These dealerships don't require a certain credit score. In fact, they won't even pull your credit. That's why it's important to know if you truly need this type of financing. If you have "fair" credit, you may want to explore your options for auto loans for consumers with bad credit. With guaranteed auto financing, dealers approve you for a loan based on your income and the amount of your down payment. The dealers that offer this type of financing realize that your credit score doesn't define you. Sure, you could have made financial mistakes in the past, but they are behind you. Unfortunately, your credit score won't change overnight. Depending on what happened, you could have a damaged credit score for over a year or more. Guaranteed financing helps bridge that gap. As with any non-traditional form of financing, you can expect to pay inflated interest rates for guaranteed auto financing. 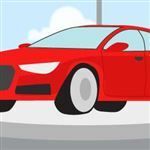 The terms are also often shorter than typical auto loans, but many dealers offer flexibility in the terms to make the payment more affordable. If you don't need a credit score for guaranteed auto financing, what do you need? Proof of Income: Each dealer has their own income requirements for their guaranteed auto financing. On average, you can expect dealerships to require a gross monthly income of between $1,500 to $2,000. Proof of Employment: Because you won't use your credit score to qualify for the loan, you need to give the dealer some type of reassurance that you can afford the loan. Proving that you have stable employment is one factor they use. It's best if you have had your job for at least one year, as that gives the dealer more reassurance that your job is stable. Down Payment: The more money you can put down on the car, the less risk you pose to the dealership. Investing your own money means that you want the car and will do what you can to protect your investment. You are more likely to make your payments on a car that you invested your own money in than one you got with no down payment. Get a Cosigner: If you don't have an exceptional amount of income, steady employment, or a large down payment, you may want to bring in reinforcements. A cosigner can help your case because it's another person who is responsible for your loan should you default. If your cosigner brings with him/her good credit or great income, it can increase your chances of approval. Provide Proof of Residency: Auto dealers like to know that you have settled in somewhere for at least one year. It makes you a more likely candidate to pay your bills. Providing a copy of your driver's license and a copy of a utility bill should suffice. Can You Get Guaranteed Financing with No Money Down? The down payment is one of the key factors of the guaranteed auto financing program. What happens if you don't have any money to put down on the car, though? It's time to get creative. Do you own a car now that has some equity in it? You may be able to trade it in and have it count as your down payment. It helps if you own the car free and clear because then every penny can go towards the down payment. Talk with your dealer about the estimate they give your existing car. If you don't like how much they will give you, try other options. You can try a dealership like CarMax that buys used cars without you buying a car from them. You can also try selling it on your own to a private buyer. Just make sure you have a proper Bill of Sale drawn up and the transaction notarized. Pay Cash: You could always wait until you have enough cash saved to buy the car outright. Of course, this method may take the longest, but you won't have to worry about interest charges or waiting for someone else's approval. If you have assets you can sell to get the cash you need to buy the car, you may be able to own a car sooner rather than later. 401(k) Loan: Some companies allow their employees to take a loan out of their vested 401(k) funds. Keep in mind that this is a loan and you typically have five years to pay it back in full. If you leave your job, you typically have 60 days to repay the full amount, so use this option with caution. 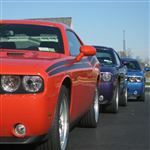 Apply for Subprime Auto Loans: Depending on how "bad" your credit score is, you may be able to secure subprime auto financing. You'll need to provide your credit score, income, and employment for this loan option, but you may find more banks and/or dealers that offer you an option. Guaranteed auto financing should be a last resort after you've exhausted all other options. You'll pay inflated interest rates and have restrictions regarding how much you can borrow. And you'll typically only be able to drive away in a used car using guaranteed auto financing. If you do go this route, make sure you shop around and get quotes from at least three dealers so that you know you are getting the best deal possible for your situation. Share on Facebook "Guaranteed Auto Financing"